We headed up to the road where the “current” Burnt Granite trail takes off from – but that starts down the road a bit. 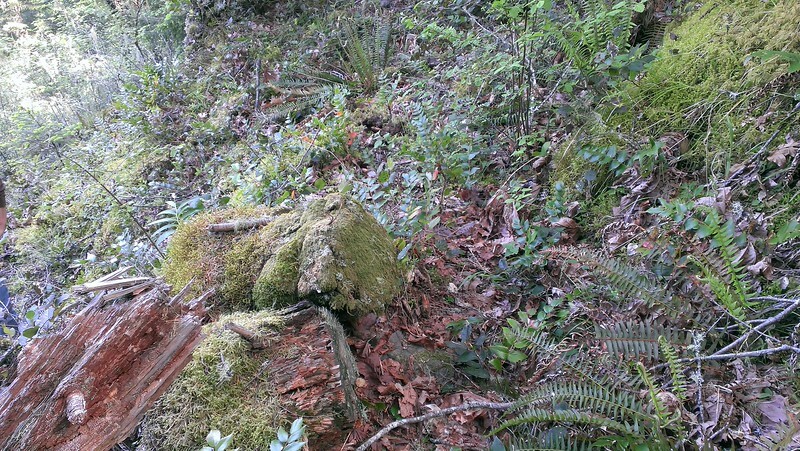 The section where this crossed the road was clearcut, and so the current trail uses an old cat road to begin. 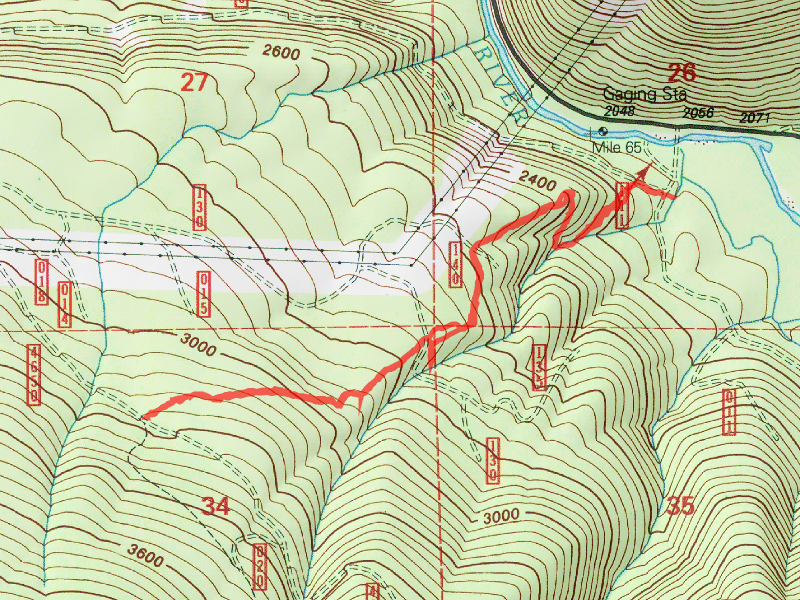 In due time, maybe the original tread can be located in the clearcut and the original path restored. Who knows. (edit – the original route has been found! And restored!!) It is just cool to see this very old path. It will make a great wintertime trail – could be used to snowshoe – start at the bottom, hike up to snow, then put on showshoes to go higher. 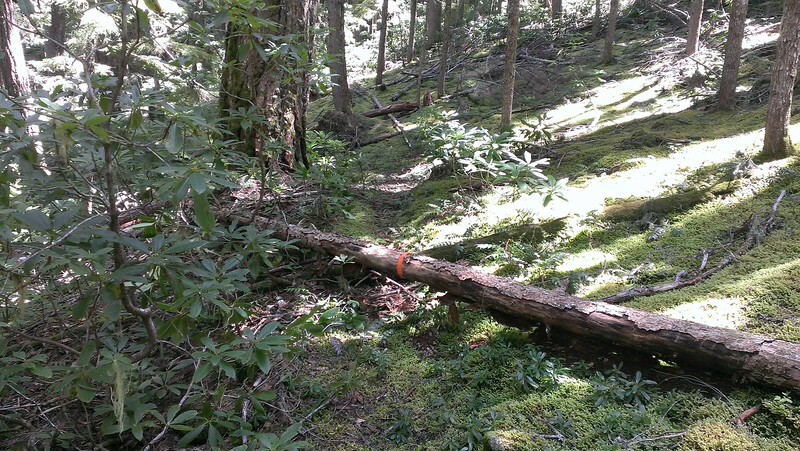 On the way back down, we took a slight detour to the un-named creek – there is a user/game trail down to it that is flagged with blue and white flagging. A neat little creek. 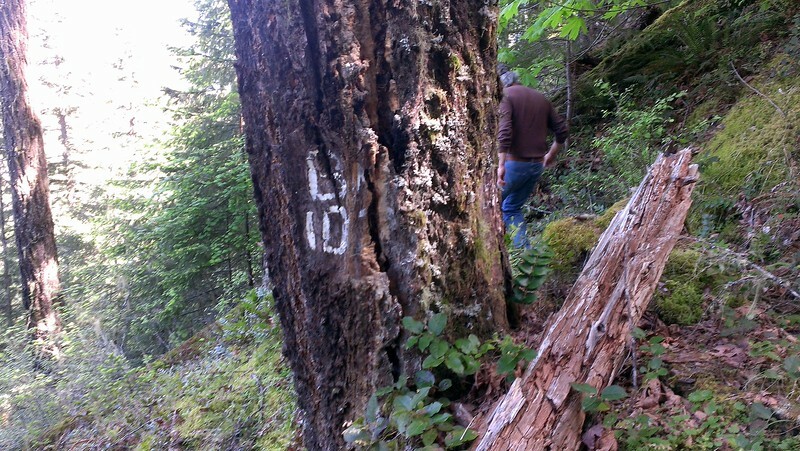 And even cooler, we found an old benchmark tree! After exploring that trail for a short ways, we headed back down and wanted to stop at fearless for a pint, but found out they are closed on Tuesdays! So, we headed over to another bar in town and had a pint there – not the same as Fearless, but still tasted good. Both of these trails will be on my list to explore further.